This article originally appeared on the Crew blog. I remember sitting in a McDonald’s as a kid and complaining that it was so cold. My dad told me it was cold on purpose; the restaurant doesn’t want you to sit there all night after finishing your meal, he said. The cold temperature supposedly encouraged you to eat and leave, making room for new customers and higher profits. I’ve always wondered whether that’s true, and how else stores affect our behavior with temperature, layouts, advertising, and music. I took a dive into consumer buying behavior and what research has to say about the things that influence us. As early as 8 years old, when we enter the so-called ‘tween’ period, our friends start influencing what we buy. One study from the Journal of Consumer Behavior found that when children hit their tween years (defined as 8-12 years old in this study), they start replacing their family’s opinions on purchases with what their friends think. Children at this age are starting to see even simple products as “material symbols of identity”, and thus place more importance on purchasing choices. In practice, this might look like 10-year-olds complaining about buying budget cereal or clothes without obvious brand names. Once kids hit adolescence, the influence of peers and advertising only grows. 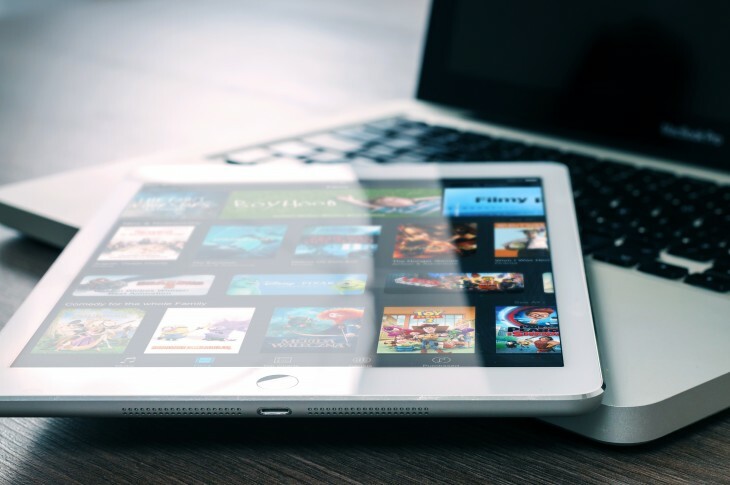 A study of adolescent girls found their shopping habits were highly influenced by ads on TV, and they generally preferred to buy brands they saw more advertisements for. Of course, we’re not safe from peer pressure as adults, either. Have you ever noticed that you’re more likely to make purchases when shopping with friends? A study in the Journal of Consumer Psychology found shopping with friends increases our urge to purchase, while shopping with family members decreases it. If you’re particularly susceptible to social influences, the gap between these behaviors is likely to be even stronger. But what about strangers? How do they influence our shopping behavior? One study looked at in-flight purchases to see how we might change our shopping habits based on what we see around us, with fascinating results. Passengers could make purchases on the in-flight entertainment system on the back of the seat in front of them. The study found the average number of purchases per passenger increased by 30 percent if they saw someone sitting nearby make a purchase. Passengers were also influenced by what their neighbors purchased: if they saw someone nearby purchase alcohol, they were 78 percent more likely to buy alcohol themselves. And if the passenger saw someone else buy food, they’d be 38 percent more likely to buy food themselves. They’d even be more likely to buy the same type of alcohol, food, or movie as other nearby shoppers. The researchers noted which neighbors could be seen making purchases from each passenger’s seat. 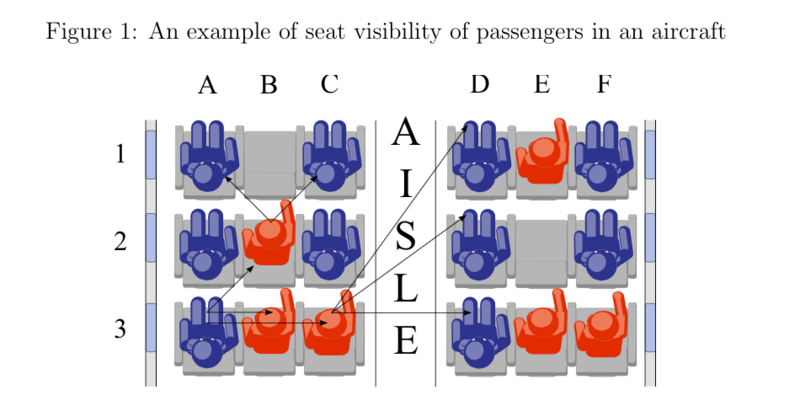 The more purchases a passenger noticed, the more likely they would be to make their own: observing two neighbors shopping rather than one, for instance, increased the probability of a passenger purchasing something by 58 percent. We all like to think we’re in control of our choices, but it’s funny to see science prove how impressionable we are without knowing it. Case in point: the layout of a store can make a difference in what we buy. A hospital cafeteria study explored how changing the environment would affect whether people bought healthy or unhealthy foods. Initially the researchers left all the food and drinks where they were, but added colored labels to show which choices were healthier. They used a simple traffic light system: green for healthy choices, red for unhealthy, and yellow for “less healthy”. Just adding these labels decreased the purchase of unhealthy items and increased the purchase of healthy items. Drinks saw a bigger change than foods; red drink purchases went down by 16.5 percent from adding the labels, and green drink purchases went up by 9.6 percent. 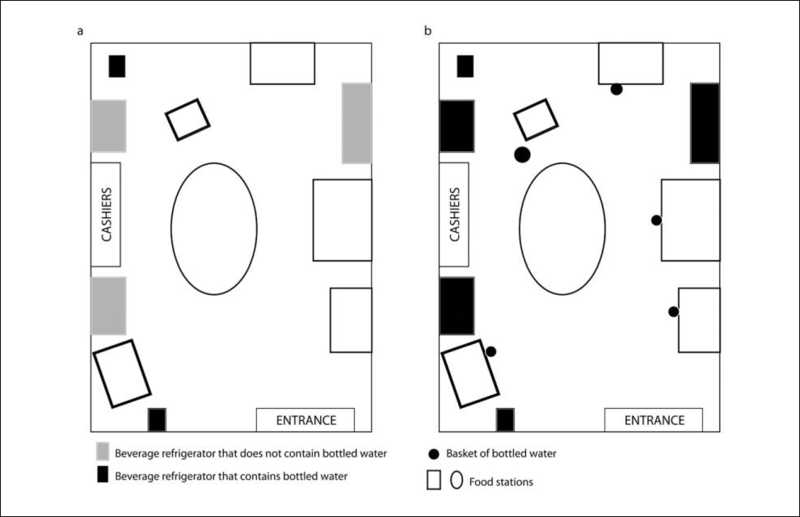 For the second phase of the study the researchers changed the physical layout of the cafeteria. Fridges with unhealthy drinks were moved, and bottled water was made more prominent in baskets and fridges. The results were an increase in bottled water purchases by 25 percent, and a further decrease of red drink purchases by 11.4 percent. Keep that in mind next time you see something prominently displayed in a store. It’s there for a reason. Music is so varied that, unsurprisingly, the effects music has on buying behavior are also varied. When matched to the context of the shopping environment, music can have a profound effect on how much we spend and what we buy. For instance, one study tested the difference between playing classical and Top-40 music in a wine store. The results showed customers bought more expensive wine when classical music was played—pointing to the influence of appropriate music for the situation. Another study tested the tempo of music, and found that slower music makes us shop slower, meaning we end up spending more money. When the same theory was tested in a restaurant, customers ate more quickly when fast music was playing, and when the music was slow they stayed in the restaurant longer, spending more money on alcohol after their meal. And what about silence? One study testing various musical styles as well as no music at all found that playing no music led to the least amount of spending from customers out of any of the musical styles, and much lower than the amount customers normally spent in the study’s restaurant. The study included easy listening, classical, jazz, and popular music. Jazz came out ahead, encouraging customers to spend more than the other styles, though popular music wasn’t far behind. Lastly, the study also looked at how long customers stayed in the restaurant and how many drinks they had. Classical music sent people home earlier than other styles, and correlated with fewer drinks per customer. And the more upbeat the music was, the more people tended to have three or more drinks. If these studies are anything to go by, it seems choosing music appropriate for the situation and keeping it slow could increase your sales. Of course, there are plenty of other variables that factor into our shopping choices. Any study that looks at a big group of shoppers can only generalize about the patterns it finds. Still, it’s fascinating to know how big a difference music can make, since it’s easy to tune it out when you’re shopping. So you’re out with friends, on the lookout for music or product displays that might influence your choices, and you notice the nice weather. It’s a warm, sunny day, but not too hot. Perfect for shopping—or is it? It is if you’re in the market for a convertible. On an unseasonably warm day, we tend to make the mistake of thinking how we feel today is how we’ll feel in the future (similar to shopping on an empty stomach and buying a trolley full of snacks instead of real food). A study of car purchasing behavior that looked at over 40 million transactions found an interesting correlation between buying behavior and the weather. The researchers found warmer days increase sales of convertibles, up until the warmest days of the year. At that point, an increase in temperature probably makes driving a convertible seem less appealing, whereas unseasonably warm days during cooler months make buying a convertible seem like a great idea. Clear skies also increased convertible sales—about the same amount as a 16-degree increase in temperature. On the flip side, we’re equally predictable on cold days. If it’s uncharacteristically cold, we’re more likely to buy 4×4 vehicles. Even more so if there’s been a recent snowstorm. The saddest part of this weather-fueled purchasing behavior? Customers who buy convertibles on ‘nice weather’ days are 1.3 percent more likely to trade it in within a year when compared to customers who bought their cars on average weather days. It’s not just car purchases that are affected by the weather, though. We tend to feel more positive when we feel physical warmth, and when we’re shopping this manifests into us evaluating products as being more valuable than we would when we’re cold. If it’s too hot, though, we’re more likely to leave a store in frustration than actually stay and make a purchase. I didn’t find any evidence that McDonald’s really makes their restaurants cold so customer turnover is high, but I don’t know that it’s not true, either. I haven’t been to a McDonald’s for years, so if you’ve been recently let me know how cold it was. Shopping is a huge part of our culture. Whether we shop online, in a boutique, in a shopping mall, or on an airplane, we’re making decisions all the time about what to buy and how much we should pay for it. It’s both fascinating and bizarre to realize how much those everyday decisions are affected by the subconscious stimuli all around us.